Posted on Wednesday, March 31, 2010, by Eric - TV Geek Army "Revered Leader"
Quick Take: Dancing With The Stars, "Week One"
(S1001) I'm a sucker for competition-based reality shows, but I can't seem to ever get in the mood to feast my eyes on two talent-based powerhouses of the genre: American Idol and Dancing With The Stars. I love all the editions of MTV's Making the Band, and can even stomach America's Best Dance Crew on occasion, especially when the breakin' is popping and there is an effective surplus of the word "y'all" thrown around by the judges. Maybe I'll get hooked in to DWTS one of these days but... I doubt it. Video: Dancing With The Stars, "Week One"
Recap: Dancing With The Stars, "Week One"
The contestants dance for the first time. 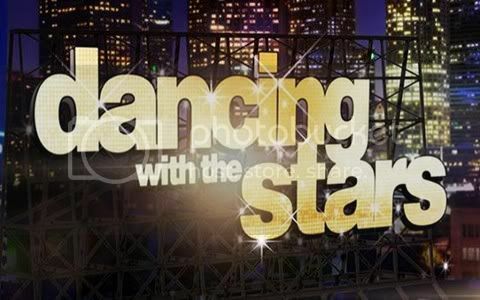 From Around the Web: Dancing With The Stars, "Week One"
Here's this season's celeb cast, from IMDB: Buzz Aldrin, Pamela Anderson, Erin Andrews, Shannen Doherty, Kate Gosselin, Evan Lysacek, Nicey Nash, Chad Johnson / Ochocinco, Jake Pavelka, Nicole Scherzinger, Aiden Turner. Commenter Sheilah, on Hulu: I think Kate is very brave, I miss her and the kids! She is doing the best to take care of her family and I know this is going to be harder for her than anything she has done on TV. So I wish her the best !!! GO KATE!!! TV Squad: It's the tenth season of 'Dancing with the Stars' and, shockingly, five years have past since the first performance. I'm happy to see that the show finally made some interesting changes. The opening sequence doesn't cause me to have seizures from all the kaleidoscope spins, the graphics are now different, and the couples sit in a fish tank off to the side of the stage. Associated Content: First off, Evan Lysacek won his Olympic gold medal not just because he outskated the competition, but because he out-danced the competition. He used his artistry and elegance to defeat Evgeni Plushenko, the pre-event favorite, despite Plushenko's powerful arsenal of jumps. In addition, and perhaps more pointedly, there's no other man included in the Dancing with the Stars 2010 lineup who boasts an Olympic gold medal in what essentially amounts to dancing on skates, so that's a huge check mark in Lysacek's favor.